Lamborghini is claiming to have achieved yet another historic sales record, with the luxury sports car manufacturer having shifted nearly 6,000 cars in 2018 – which represents a +51% increase over the previous year. With 157 dealers serving 50 countries, worldwide deliveries to customers in 2018 increased from 3,815 to 5,750 units. Thus, since 2010 (1,302 units) the company has more than quadrupled its sales numbers. For 2018, sales volumes were distributed among the company’s three major markets as follows: EMEA (Europe, Middle East, Africa): 2,497/+69%; America: 1,952/+46%; and Asia Pacific: 1,301/+30%. With 1,595 units the USA remains the largest single market, followed by the UK (636), Japan (559), Germany (463), Greater China (342), Canada (316) and Italy (295). 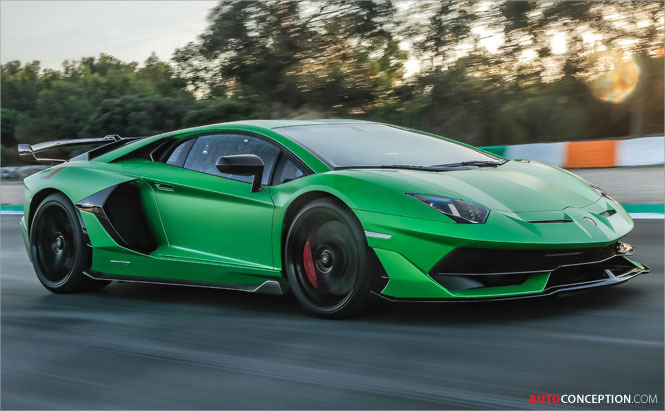 In terms of individual model performance, sales of the V12-powered Aventador grew by 3% from 1,173 to 1,209 units, while sales of the Huracán grew by 5% from 2,642 to 2,780 units. As expected, a substantial contribution to the global sales increase came from the new Urus SUV, with 1,761 units delivered to customers since its market introduction last July. In 2018 Lamborghini Squadra Corse also set a new benchmark, with over two hundred racing Huracáns produced to date. The company’s racing division remains one of the few motorsport departments in the world that manufactures its own racing cars on the same production line as the road car, inside the factory located in Sant’Agata Bolognese. Both the Huracán Super Trofeo and the Huracán GT3 share the same production line as standard Huracán cars.